As we mentioned in our “about” section here on NJroute22.com – this highway (Route 22) primarily serves as the backbone of the content here. But there are many interesting offshoots from Rt. 22 that can quickly take you to quality destinations. ► Route 31. A pretty major road in NJ. Stretches from Rt. 46 in White, NJ all the way down south to Trenton. Almost 50 miles! But we’ll limit the coverage between Washington, NJ and Flemington NJ (a little over a 20 mile span). 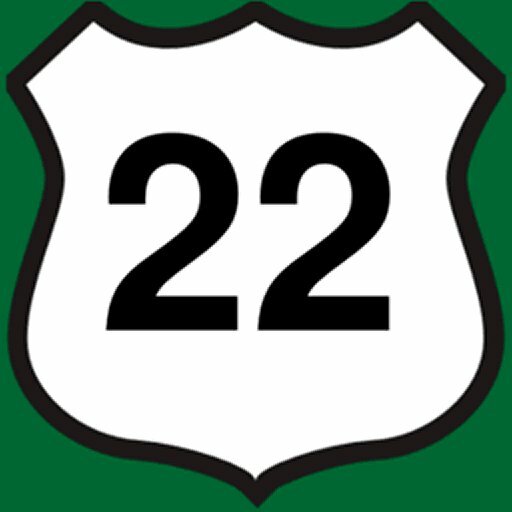 Route 31 is important to Route 22 travelers in both the Western and Central regions – because it connects you to so many other areas! You almost cannot avoid using Route 31 regularly! ► Route 202 / Route 206. Another important set of roads crossing Route 22. Overlapping between Raritan, NJ and Far Hills – Routes 202 and 206 are vital thoroughfares in central Jersey and can be quite confusing for the newcomers. The major spans of 202 are between Flemington and Bridgewater – as well as between Bedminster and Morristown / Parsippany. 206 seems to be a little less commercial, with Princeton as a good destination to the south, and Chester a nice place to visit up towards the north. ► Route 28. Runs mostly parallel to Route 22 from Branchburg to Elizabeth, NJ. We’ll limit our coverage initially to the western fringe of Route 28 in the Central Region of this site. Too daunting a task to mention much in the densely packed areas of Scotch Plains, Garwood, Roselle Park, etc. But we’re open for submissions. ► NJ State Highway 57. Believe it or not – this is also a fairly important road for those in the Western and Central portions to the north of Route 22. For one, it splits off 22 in Phillipsburg – and connects with Hackettstown, NJ 21 miles to the northeast. Yes, it does venture far off the “backbone” of Route22, but it is still important to thousands of residents who reside in the area. ► Route 173. This is important because it’s essentially the “old” Route 22 before it was merged with Route 78 in the western region of the state. This nearly 15-mile stretch isn’t particularly exciting, but we have to accept it as part of the family and will try our best to give it some love. For those that don’t like mega highways like 78, can travel from Clinton to Phillipsburg using this road. The more civilized commute as they say. ► Route 78 / Route 287. We’ve included these as they have relevance to Route 22. Either intersecting or running concurrently – it just makes sense to have placeholders for these highly-traveled roads in New Jersey. If we find other interesting off-shoots from 22 we’ll add them to this list. But this is where we start out!